Spain is a wonderful country with excellent climate, a picturesque seaside and amazingly beautiful architecture which keeps the spirit of the Middle Ages. The country is also famous for its various festivals and bright carnivals. Other holiday countries can’t surprise you with such a great number of bars, cafes and restaurants. Considering the fact that Spain is a developed state with stable economy and high living standards, it is no wonder that real estate in Spain is so topical nowadays. The population of Spain is not as numerous as people think. It is not surprising that the majority of citizens live on the coast. That is why the most wanted Spanish properties are the beautiful villas close to the sea. Very popular are regions as: Costa Blanca with Alicante, Benidorm, Denia, Javea and Torrevieja, Costa Brava with the famous Barcelona, Costa del Sol with Marbella and Costa Dorado. They attract not only tourists from all over the world but also foreign investors. Many of the property owners use their beautiful beach houses and villas for holiday rentals. The resale of real estate in these locations is also profitable. 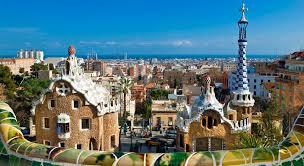 Though Spain is a country with high-living standards, the cost of real estate is not very high. Moreover, compared with the prices in other developed countries, the real estate in sunny Spain is affordable for people with average income. The price of bank-owned real is twice lower. Buying Spanish real estate gives you the opportunity for steady future in a stable country, outlooks for earning money from buy-to let deals, possibility for resale and what is also very important – you have the right to take up a low interest loan for up to 25 years. The process of official registration of your real estate is simple and transparent. You definitely shouldn’t hesitate whether to buy your own house or villa in this wonderful country.